There is a difference between what we define as unbearably cute and unbelievably ugly. Living on this planet can sometimes blur that difference, which makes it difficult to decide which one is which. But let’s be completely honest – even human babies can look a bit freaky. Take the blobfish for instance, it was recently voted as the world’s ugliest animal. But if you take a really good look at them, blobfish are kind of cute. You can help us decide whether these animals are too hideous or too cute for their own good. More than a few people are happy that wombats spend the majority of their lives burrowed underground. In fact, when they are not hiding, the wombats can charge humans. They bite, too! But at least this one found a new friend! Humans can receive puncture wounds from wombat claws, as well as bites. This blob fish is a deep sea fish that lives in the deep waters (i.e. at depth between 600 and 1,200 meters) off the coasts of Australia and New Zealand. Usually, the blobfish is shorter than 30 cm. The flesh of this beast is mainly a gelatinous mass, and it has a density that is slightly less than water; this allows the blob fish to be pretty lazy and float above the sea floor without swimming. 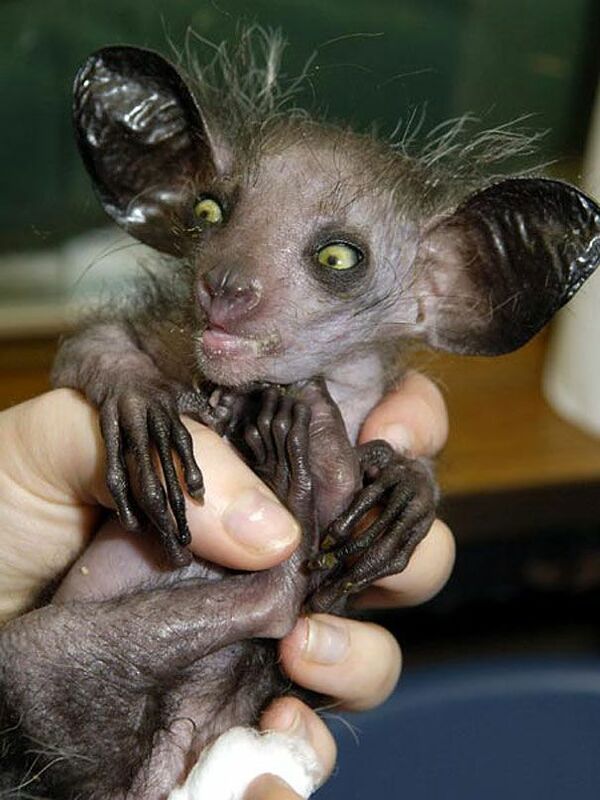 A lot of people think it’s the world’s ugliest animal. I say beauty is in the eye of the beholder! And by the way, this beast could become an endangered species due to deep-sea trawling. If you didn’t find the previous baby bat cute, this other baby bat is going to freak you out. Honestly, this is straight out of a nightmare. But don’t be too scared, there are ONLY three species of “vampire bats”, i.e. bats that enjoy the blood of other animals for lunch. Unlike this baby hippo which was fortunate to come to life in a zoo, baby hippos are generally born underwater. They weight between 25 and 50 kg (55 and 110 lb) and have an average length of around 127 cm (4.17 ft). They must swim to the surface in order to take their first breaths. “You know I’m the cutest of them all. Don’t be such a hippo-crit!”… Be careful though. Although they are typically herbivorous, hippos have a pretty bad reputation of being very aggressive animals. This could be one of the cutest animals you’ve seen so far, but if you found it on your bed you might probably assume there’s an alien invasion taking place. 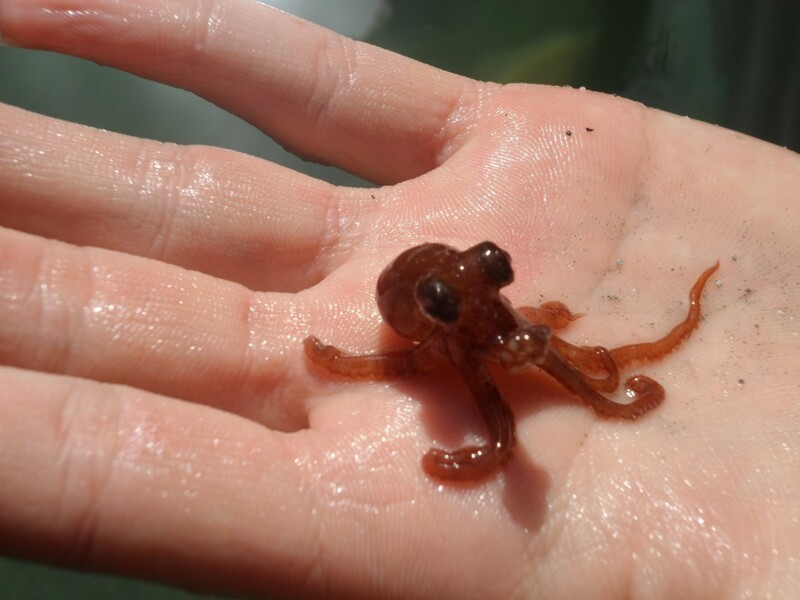 Interestingly, an Octopus can change color according to its mood and its environment. They typically do so in order to hide from potential predators. This one for example, went from pinkish to brown! They could either pass as cute teddy bears or terrifying toys. You will find them in southern China, as well as in the North of Vietnam and Myanmar. You will have to look up, as they spend most of their life in the trees. This cat breed is known for its lack of fur and lemon-shaped eyes. They have an extroverted behavior. They typically cost between $1500 and $2500, and top show quality female cost up to $3500. Most Sphynx cats have a high level of energy and they act like dogs, greeting their owners at the door. Well, in the case of this particular cat, I guess TV was really boring that day. Because of their very large ears, their thick paw pads, and their large lemon-shaped eyes, they’re sometimes called “the devil’s cats”… I can understand why! 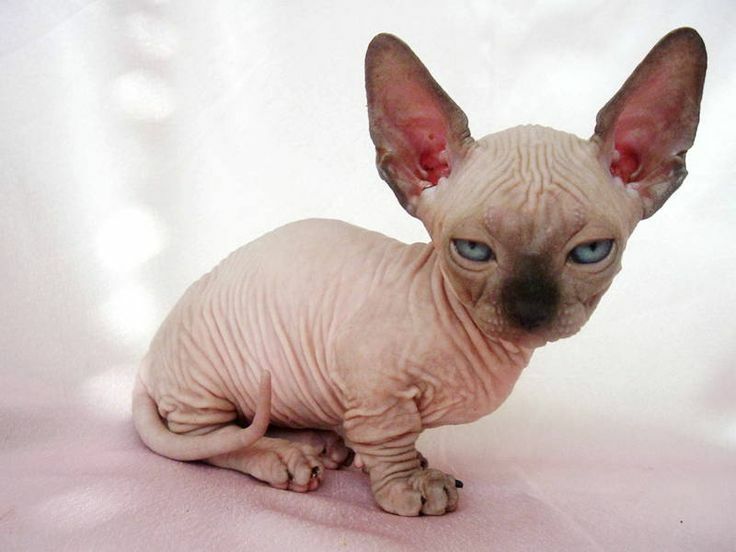 Now, some mean people voted this cat one of the five ugliest cat breeds in the world. 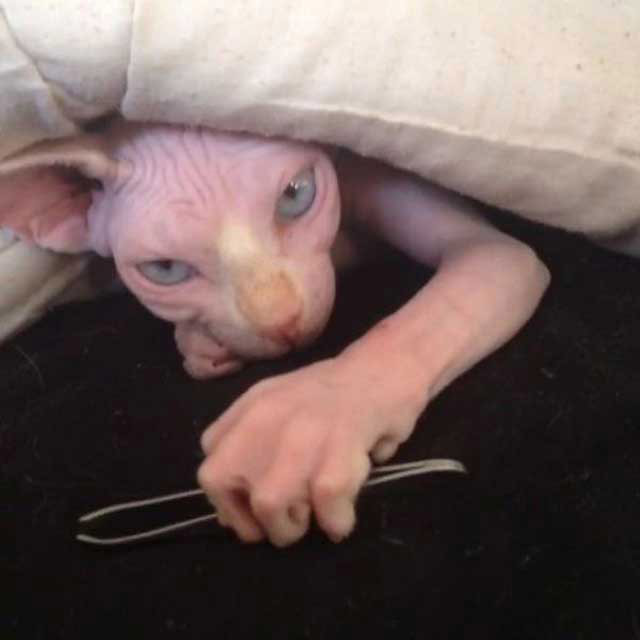 Despite their rather strange appearance, Sphynxes are still the sweetest cats anyone could want! This could be called the “real-life Pokemon”. Unfortunately, they are served deep-fried in a restaurant in Osaka, Japan. 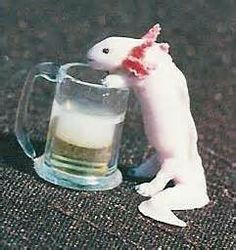 Why would you kill and eat this cutie? The Axolotl Salamander can be found in lakes, such as Lake Xochimilco underlying Mexico City. They are a scientific curiosity for several reasons. First, they are able to regenerate limbs. Second, they are able to maintain all their juvenile characteristics even after reaching maturity. In all fairness, human babies don’t look so cute either until a couple of weeks after birth… plus the nails of that hand need a bit of polishing! Interesting, hedgehog have been around for a long time and they have changed very little over the last 15 million years. He may be wrinkly, but that smile is beyond cute! Did you know that pugs are originally from China and were brought to Europe in the sixteenth century? A few centuries later, they became the favorite dogs of the Royal family in the United Kingdom after Queen Victoria developed a passion for these cuties. When we wake up in the morning, we all look sort of like this too. But don’t be fool, goats are known to be extremely curious and intelligent animals, who are capable to hold balance in the most dangerous places. This baby echidna will look like a hedgehog and anteater when it grows older, but let’s appreciate its cuteness while it’s still a baby! Curious to see one in real life? Go to Australia and New Guinea. But you’ll need to be lucky as these animals are very shy. Ah, the sloth! Whether it is cute or ugly has been a hot topic for years. What do you think? I find the sloth really funny to look at. Come on, can you resist this beautiful smile? This shy cutie’s eyes are as big as its brain! They look just as shocked as you! 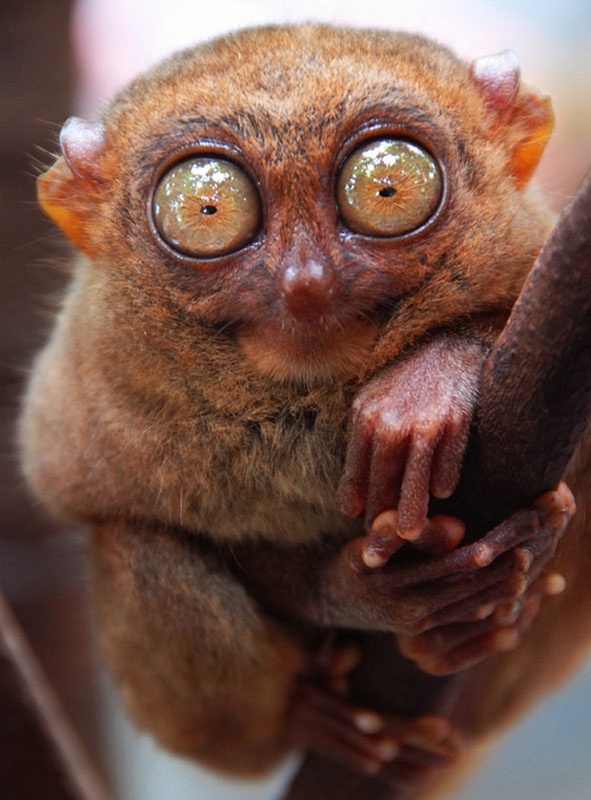 The pygmy tarsier measures between 95 and 105 mm. However, its eyes are about 16 mm in diameter… that’s why you immediately notice them! The pygmy tarsier is a nocturnal animal that lives in Indonesia. However, they are pretty hard to find. In fact, in the early 20th century, scientists believed it had become extinct until they accidentally killed one in 2000 while trapping rats. Baby armadillos are like small versions of dinosaurs, which makes them cute and other-worldly. But they’re also the only known animal to carry leprosy, so be careful. Did you know they may end up being used as music instruments? Indeed, their shells have been used to make the back of the charango, a small Andean stringed instrument of the lute family. We promise you this is a real animal and not an adorable toy that you’d want to take home and play with. Its blue feet come from carotenoid pigments obtained from its diet of fresh fish! Males typically display their feet in a sophisticated mating dance by lifting their feet up and down. 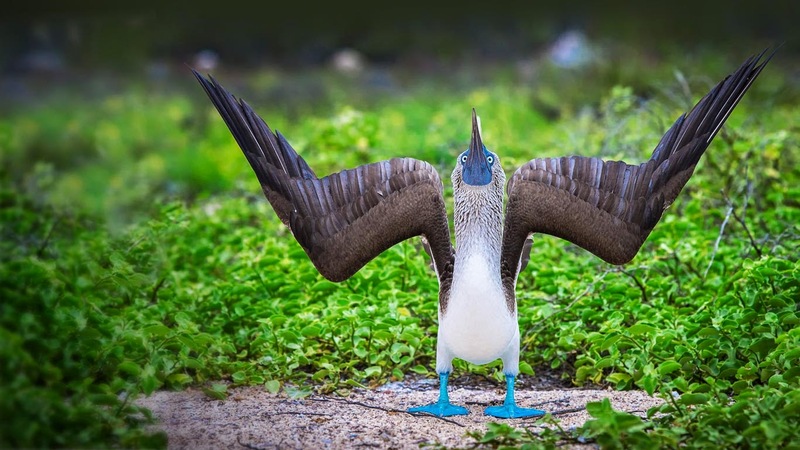 The blue-footed booby can be found in the tropical islands of the Pacific Ocean, in the Galápagos Islands in particular. Unfortunately, their population is in decline and this may be due to the increasing scarcity of sardines a key part of the boobies’ diet. Piglet? Hairless rabbit? 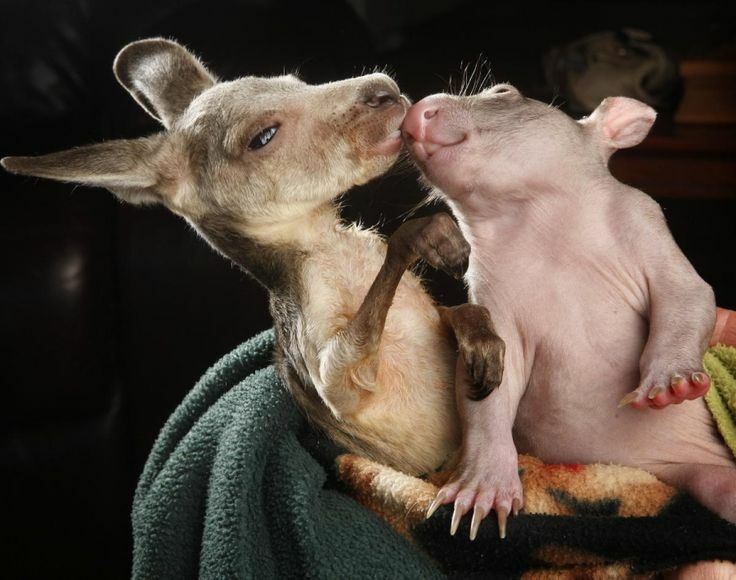 No, a baby aardvark that just wants a hug! Sometimes referred to as the “African ant bear”, this guy hangs out at night, in Africa. He uses his long pig-like snout to sniff out food, especially ants and termites. 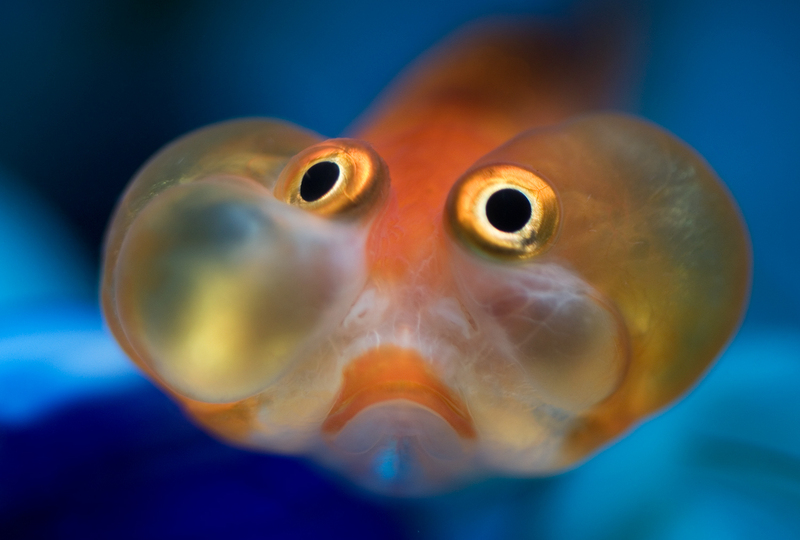 Originally from China, the bubble eyed fish is a variety of goldfish with upward pointing eyes that are accompanied by two large fluid-filled sacs. This is Mother Nature’s version of bubble wrap. We all know he’ll grow up to be a dangerous predator, but you’ve gotta admit that he’s cute in his own dangerous way. A baby crocodiles measures around 20 cm (7.9 in). It’s incredible to think that this baby can grow to more than 7 m (23 ft) long. Originally from southeast Asian island of Borneo, the Proboscis monkey starts out as a very cute chimp and is known for its rather large nose. It is one of the largest monkey species in Asia. 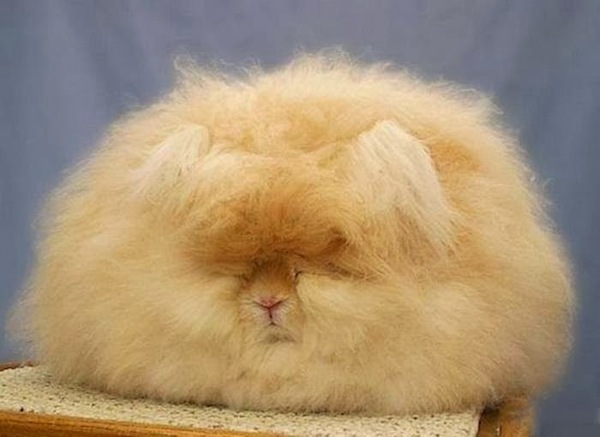 The Angora rabbit is known to have extremely soft wool that turns it into a snowball. Its wool is said to be softer than cashmere. You know you want to cuddle it. It is also one of the oldest types of domestic rabbit. In the mid-18th century, the Angora rabbit was very popular pets with French royalty. They are very famous for their long Angora wool for which they are bred. They may not look like the fierce birds they’ll eventually grow up to be, but these baby cardinals will get there… eventually. By the way, in case you really like them, note that the Cardinal is government-protected. It is illegal to own one as a pet, and obviously also illegal to kill one.